Enjoy our top-of-the-line services and amenities including a newly renovated state of the art fitness center, business center, complimentary 24 hour shuttle service, complimentary WIFI in rooms and public spaces, free parking for registered guests, seasonal outdoor swimming pool, 24 hour grab and go and more. 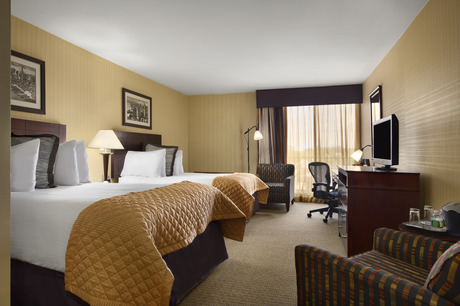 The Sky's the Limit At Wyndham Garden Hotel Newark Airport. Wyndham Garden Hotel Newark Airport is an intimate hotel with comfortable guestrooms that offer a wealth of thoughtful amenities including Michael Graves' designed coffee maker for Wyndham, Wyntunes alarm clock/MP3, iron/ironing board, laptop sized safe, hairdryer, self controlled temperature units, True Blue® Spa Bath & Body Works® products, along with our new contemporary Be Well bedding is nothing less than impressive. The guest rooms are everything you would expect and more from Wyndham, offering convenience, efficiency, style and comfort. Our soft pillow top mattresses will provide you with a great night sleep while putting your mind at ease knowing you will greet the next day refreshed and recharged. An oversized desk is perfect for work, while the ergonomic leather executive chairs provide great comfort to keep you focused. Complimentary high speed internet access enables the always working road warrior to stay in touch with the office at all times. 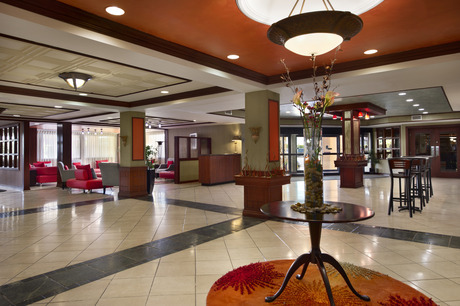 Wyndham Garden Hotel Newark Airport is the best Newark lodging choice for your trip to New Jersey. 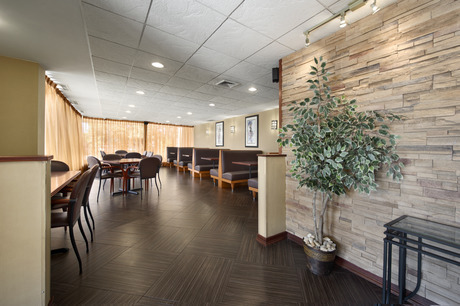 With numerous amenities for guests such as room service, car rental, 24 hour front desk, you will wake up at Wyndham Garden Hotel Newark Airport feeling ready to go every day for your time in Newark. 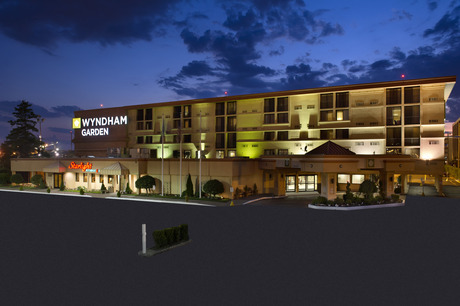 Don’t let this amazing reservation opportunity pass you by, book your stay at Wyndham Garden Hotel Newark Airport today to make the most of your time in Newark, New Jersey.